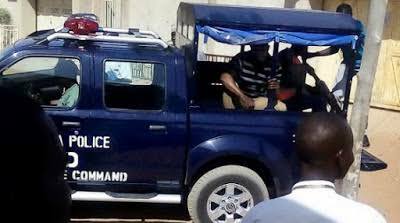 Not less than 300 persons were at the weekend arrested by the police in Warri, Delta State during a mass raid on suspected hideouts of criminals over a rifle stolen from Delta Deputy Governor Kingsley Otuaro. A gang of armed robbers, consisting of five members, stormed the Warri home of the deputy governor, attacked the policemen on duty and made away with his service AK47 rifle. However, the moment a signal got to the state command of the police on the development, a special search and patrol order was issued to the police stations in the area, which prompted the massive operation, which ran from early Saturday evening to early Sunday morning. The Nation reports that the operation led to the arrest of over 300 suspects, including some persons suspected to be of questionable characters, who had visited the different bars stormed by the police to unwind as part of the Easter holiday celebration. The police operation led by the Divisional Police Officer (DPO) B Division, Okumagba Avenue, spared no identifed notorious criminal hideout in the city. A source, who spoke under condition of anonymity, disclosed that the armed robbers were believed to have invaded the deputy governor’s home simply with the aim of stealing the police rifle, which they had wanted to execute their next operation within the city. Delta State Police Commissioner Muhammad Mustafa confirmed the stolen rifle and said his men were out to recover the rifle. “We can no longer tolerate any act of lawlessness from criminal elements in the state and we will always go after them no matter where they are hiding,” he said.